The Organising Committee are pleased to announce this two-part free public presentation which will be held after the Welcome Reception on Monday 27 August 2018. Please register your interest in attending to ensure your place. Radar ’18 delegates are automatically registered. Radar development in Australia: from World War II to the Jindalee HF over-the-horizon radar demonstrator. In early 1939 the British government briefed Commonwealth nations, including Australia, on its highly secret development of ‘radio direction finding’, RDF, subsequently termed radar. This knowledge allowed Australia to design and construct its own line of robust radars that were deployed in the Pacific theatre during World War II. Post-war, experiments with line of sight HF radar during Anglo-Australian ballistic missile trials led to a staged development program that delivered a HF over-the-horizon radar system demonstrator, Jindalee, for wide-area coverage of Australia’s air approaches. The passion of one man, John Strath, was pivotal in driving Jindalee through the 1980s and his work warrants wider appreciation. This presentation will outline the story of radar developments in Australia’s government defence research agencies that led to the subsequent implementation of the full military capability Jindalee Operational Radar Network, JORN. JORN’s technologies are built on the those proven in the Jindalee demonstrator project and elements are described in the follow-on presentation by Dr Gordon Frazer. 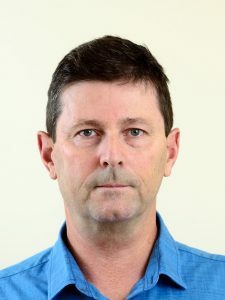 Dr Don Sinnott was Chief of a number of Australia’s Defence Science and Technology (DSTO) research Divisions in sensing and IT disciplines (1987-2000), the Department of Defence’s Canberra-based First Assistant Secretary Science Policy (1995-1997), CEO of the Cooperative Research Centre for Sensor Signal and Information Processing and Company Board Chairman of the CRC’s spin-off companies (2000-2003). He is currently a Board member for the CRC on Contamination Assessment and Remediation of the Environment (CRC CARE), an Adjunct Professor with Adelaide University and author of two books of biography. Don’s areas of professional research and development experience have been in applied electromagnetics, including radio and radar systems, antennas and radio propagation, signal processing and global navigation satellite systems (GPS and related systems). He played a major role in development of Australia’s Jindalee over-the-horizon radar system. 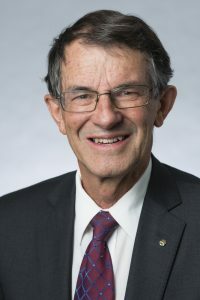 He is a Fellow of the Institution of Engineers Australia, recipient of its M A Sargent Medal (2014) and a Life Fellow of the Institute of Electrical and Electronics Engineers (IEEE). The delivery of the JORN over-the-horizon radars in 2003 was a defining moment for high-frequency radar in Australia. But the story doesn’t end there. Since the early 2000’s, Defence Science and Technology Group has continued at pace pursuing OTHR performance boundaries and developing new capabilities. The Australian Government recently announced JORN Phase 6 as a $1.2B program to upgrade all three radars, the operations centre, and the down-range ionospheric sounding systems; overcoming obsolescence and adding new capability for the Royal Australian Air Force. In this presentation, the author will provide insight into some of the developments that led to the Phase 6 radar, describing various break-throughs and what the lessons might be for future programs of this scale. Gordon J. Frazer (FIEEE) is presently the Research Leader for High-Frequency Radar in the National Security and Intelligence Surveillance and Reconnaissance Division of the Defence Science and Technology Group. He is responsible for Defence Science and Technology Group’s high-frequency (HF) radar program. That includes research and development for the Jindalee Operational Radar Network (JORN) including operational support, evolution, and significant enhancements; next generation over-the-horizon radar (OTHR); ISR applications of HF radar; missile defence applications of HF radar; and HF line-of-sight and surface-wave radar. Dr Frazer’s research interests are radar system and component design; signal and array processing; and experimentation, test and evaluation; and focus toward the development and transition to service of next generation over-the-horizon radar.